Very interesting bakery product made in Abruzzo Italy. Small biscuits made ideally for your espresso time with a coffee bean in the middle. They are gluten free and made with rice and chestnut flours as in the tradition of the area but with a modern twist. Ideally served on the side of your coffee they would be an interesting addition to your cappuccino and espresso as they would not fail to impress your customers. The producer is interested in finding exporters, and wholesalers agents who can help to expand the business outside Italy. Target countries are the United Kingdom, North America, and Asia including Japan. 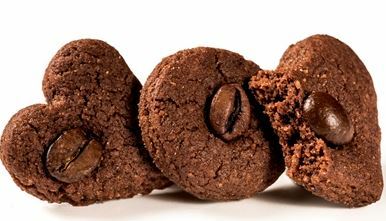 Be the first to review “Coffee Break Cookies – Italian Lactose And Gluten free Biscuits” Click here to cancel reply.